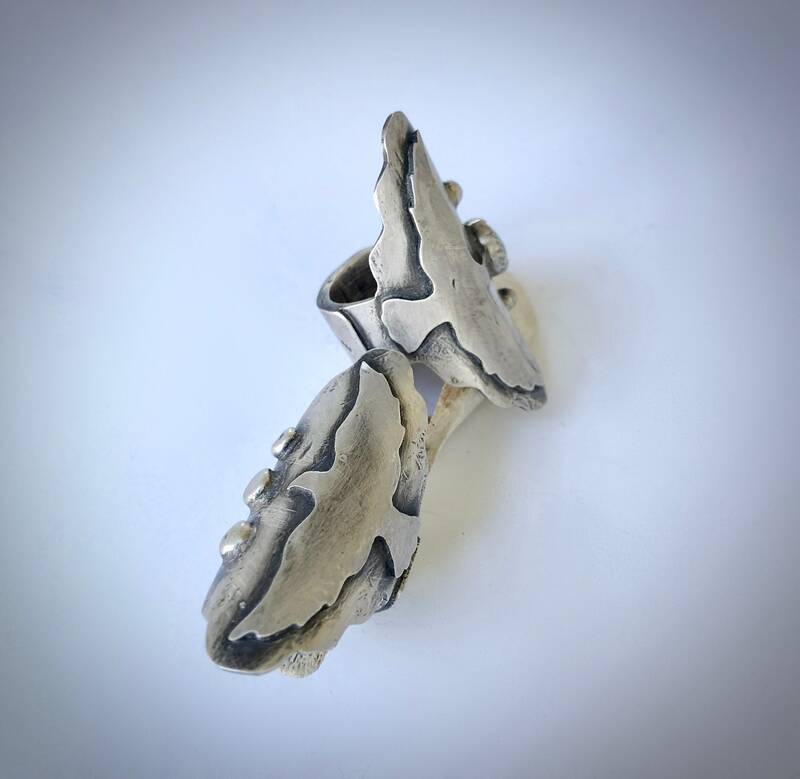 Birds Flying High Ring #1 is made entirely with Sterling Silver. 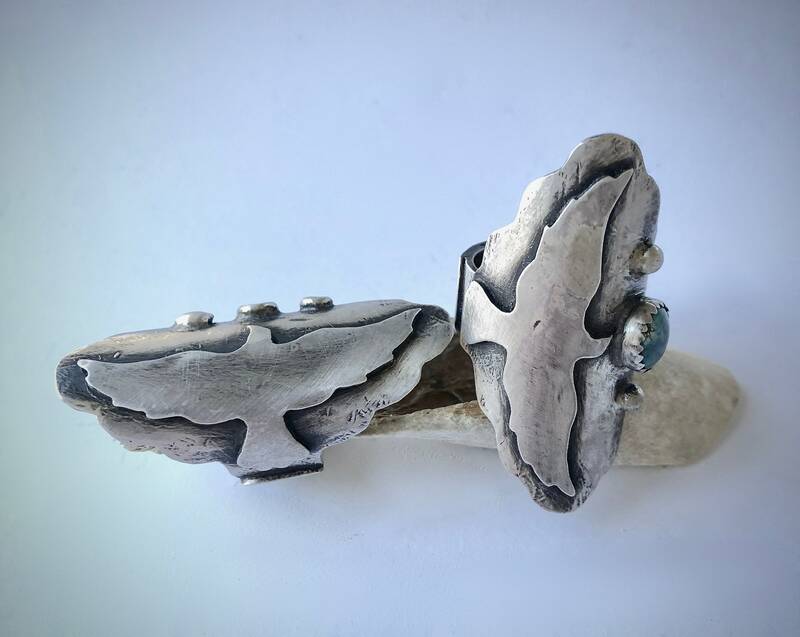 It is a fun Boho Style band, with a Flying Bird and 3 Sterling Balls. Size of the Band is 6 1/2.